Carl Kolchak's camera - The Night Stalker! 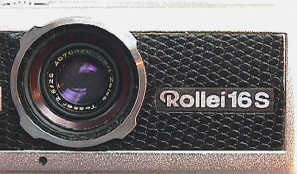 The Rollei 16 (and its successor the 16S pictured here) are the Rolls Royce of 16mm still cameras. Beautifully finished, beautifully engineered, very expensive when new, and arguably the best of their kind -- among the best made "subminiatures" ever. Introduced in 1966 and produced until 1972, they arrived at the end of the 16mm sub-mini camera craze that flourished after WWII. However, as beautiful as they are, Rollei 16's make little sense today other than as a collectibles. The problem is technology has completely passed them by. Later compact full frame 35mm compacts like the Olympus XA and Rollei 35 S the photographer much, much more in features and considerably better picture quality. Unless you are a devoted Rollei or Sub-mini fan, forget shooting these babies. There are many more better choices for shooters. Well, unless, maybe, you are Kolchak fan and just can't help yourself. 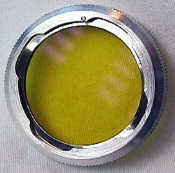 The lens is one of the sharpest ever on a Submini, the 25/2.8 Zeiss Tessar. Optional were the beautifully made, and sharp, Zeiss Mutar wide and tele auxiliary lens attachments which bayoneted over the 25/2.8's size "0" Rollei bayonet. The filters bayoneted in too, an attention to fine detail not often found in sub-minis. The collapsible finder (you pull it out from the body) is very clear and contains the frame outlines for the normal as well as the wide and tele Mutars. But the best is that you have a parallax-corrected viewfinder! No rangefinder folks, you focus by scale guestimate, but with a lens this short it works just fine. 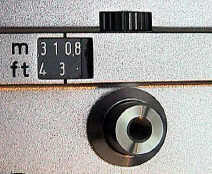 The 16S offered programmed shutter speeds 1/30th to 1/500th using its selenium meter. Manual set exposure was not possible. 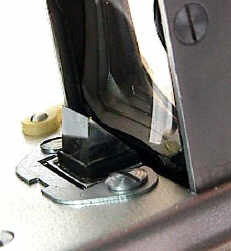 The film format is 12x17mm, using 16mm movie film spooled in special Rollei 16 cartridges. That's right, no special cartridges, no special Rollei 16 photos. 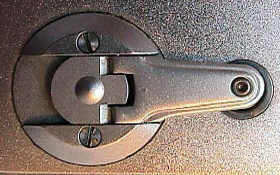 Notice the large easy to grasp and use controls - very large in fact for a sub-mini. 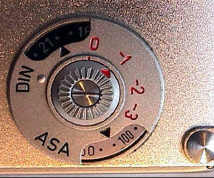 Shown here are the film rewind knob, the focusing scale, and the meter ISO setting. For a camera of its genre, the finder, was just magnificent. Easy to use, quick to open or collapse, and incredible with parallax compensation - as you focused the framelines moved for more accurate framing! Originally only made in chrome and black snake skin, late models offered options of red, green, and creme colored snake skin. The 16S was produced from 1966 to 1972, with a total production of just under 20,000 units. Weight 9 1/2 oz, more than modern full frame 35 point and shoots with many more features. So the 16S was among the best of it's kind ever made, yet it didn't succeed that well in the market. It seems it had to compete with a new compact full frame 35 which was introduced in 1966, the Rollei 35! 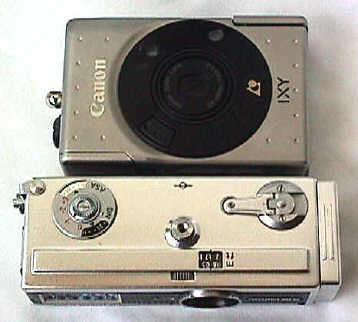 As full frame 35mm cameras became smaller and smaller, sub-mini cameras with their difficult to find film (and usually proprietary film to that camera) made less and less sense. 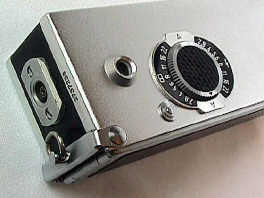 Ironically the death Nell to the Rollei 16 was Rollei's own fabulously successful and very small full frame Rollei 35. It was actually about the same size as the 16 overall, yet gave much better pics using standard develop anywhere full frame 35mm film! 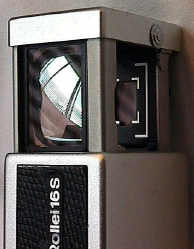 Introduced, you guessed it, the same year as the Rollei 16S - 1966. If you are a Kolchak fan, you know of which I speak. If not, see http://en.wikipedia.org/wiki/Kolchak:_The_Night_Stalker Kolchak was an interesting disheveled Chicago newspaper reporter, kind of Jim Rockford type character. Kolchak, wonderfully played by Darin McGavin, loved to solve the impossible X-Files type stories while almost always carrying his trusty camera - a Rollei 16S in The Night Stalker TV show (recently made available on DVD). Most episodes are made more memorable by having far more than their share of the very best character actors of the day. Casting did a particularly good job on the short lived Night Stalker series. Most Kolchak internet pundits inaccurately describe his camera as a 110 camera (i.e. 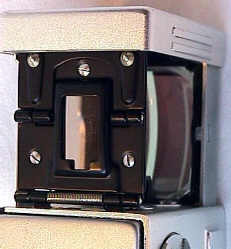 110 film format). Some even say Kolchak used a digital camera! 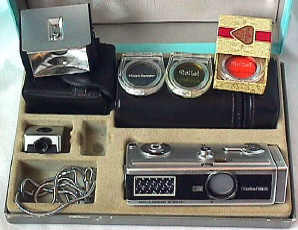 No indeed, he used a fabulous film 16mm camera, the Rollei 16S with electronic flash - like the one shown on this page. The joke is that by misidentifying Kolchak's camera, they are falling for an insider Kolchak joke! You see, the Rollei 16S was a sophisticated connoisseurs camera -- the Rolls Royce of its genre: beautiful, expensive and arguably the best of its type (16mm sub-mini film camera) EVER made! In short, it was as unlike the very pedestrian Kolchak character as the writers could possibly find -- a very very UNLIKE Kolchak camera. Yet it was arguably a good choice for the Kolchak character, as the Rollei 16S was small and compact for its time and very easy to use - even for a non photographer like good 'ole Carl! That most Kolchak fans did not know about enough about cameras to be in on the joke only makes the joke that much funnier. But it brings up a another question: What other inside Kolchak jokes await discovery by the dedicated Kolchak archeologist? Revised: April 22, 2012 . Copyright � 1998-2012 Stephen Gandy. All rights reserved. This means you may NOT copy and re-use the text or the pictures in ANY other internet or printed publication of ANY kind. Information in this document is subject to change without notice. Other products and companies referred to herein are trademarks or registered trademarks of their respective companies or mark holders.